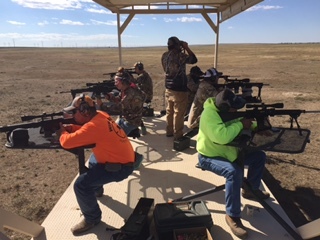 If you enjoy Prairie Dog Hunting in Colorado, Longmeadow Game Resort and Event Center has access to tens of thousands of acres of prairie dog habitat that is excellent for Varmint Hunting. Prairie Dog Hunting Season at Longmeadow is April 1st through August 31st with a 3 hunter minimum. Longmeadow Game Resort has some of the best habitat for Prairie Dog Hunting in Colorado. All you will need is lots of ammo. There is no bag limit and our more successful hunters will bag hundreds per day. I have to tell you all that was the very best hunt that I have been on. The dogs were fun and my elbows even got sore from all the shooting. The Service was top notch and the resort was unbelievable. If you ever need a reference please do not hesitate to give them my name and phone # Hope the Video will help you all out. If you get a chance would you mind sending me a picture of your big white wolf and also what you made those shot out of that we had the first night there and the last night. Thanks again for everything and hope I can someday return the good time you all. They are very susceptible to bubonic plague. There have been numerous instances of plague infected prairie dogs in Colorado. They destroy farm crops. Prairie dogs compete with livestock for forage. They clip vegetation to maintain a view of their surroundings and eat the same grasses that would otherwise be available for horses and cattle. Their burrow holes are dangerous to cattle and horses. Due to a lack of natural predators, they breed at an alarmingly fast rate. Prairie dog hunting is fun! 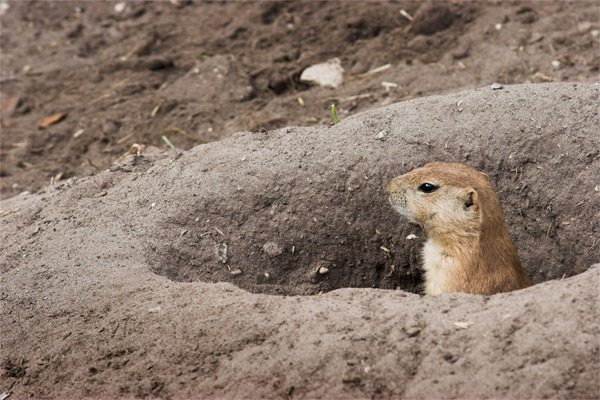 Prairie dog hunting is best done on sunny days with temperatures below 100 F. During overcast or rainy days, the prairie dogs will stay in their burrows; the theory being that they cannot see the shadows of predators such as eagles or hawks so the stay inside. The best hunt starts early in the morning. We can put you from 100 – 200 yards of a prairie dog town. 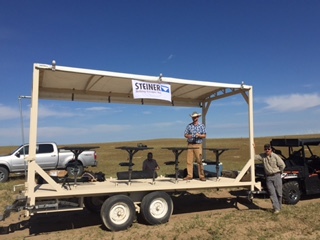 Spread a ground cloth and setup a sturdy rest or use our exclusive Prairie Trailer (see below.) As the sun comes up, dial in your scope, scout the town for movement, pick your target, and fire away. A Very Special Prairie Dog Hunting Rig! 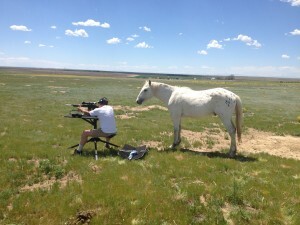 Never has hunting prairie dogs been so easy for the hunters. 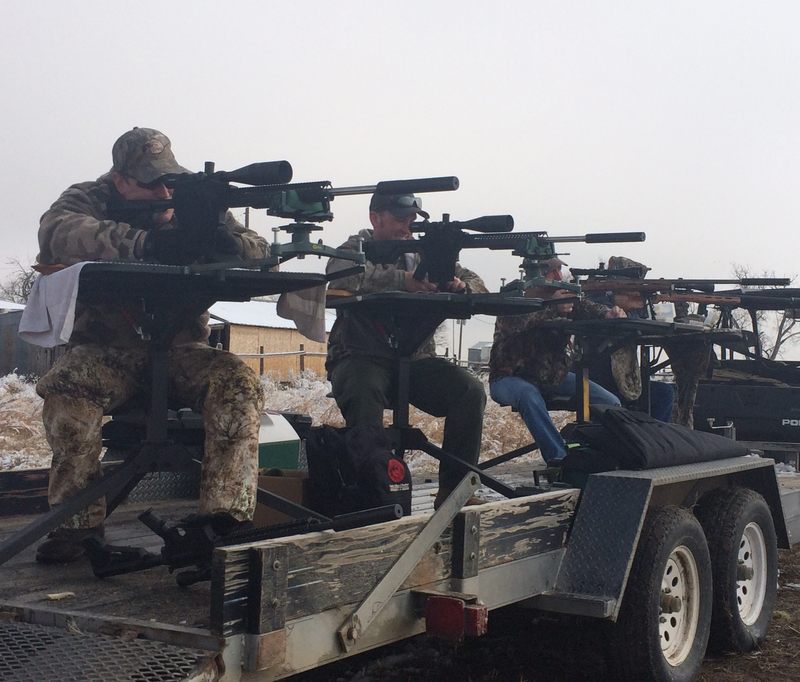 Work on your marksmanship from the comfort and convenience of our custom Prairie Trailer. We will take you to a specially selected site, set and detach the trailer from the vehicle and let you hunt to your hearts content! See more picture of this rig in action below. We care about not only the success of your hunt but about making it fun as well. We strive to provide an experience that is just like going hunting with your buddies. Our goal is to make sure every customer feels at home and completely comfortable. 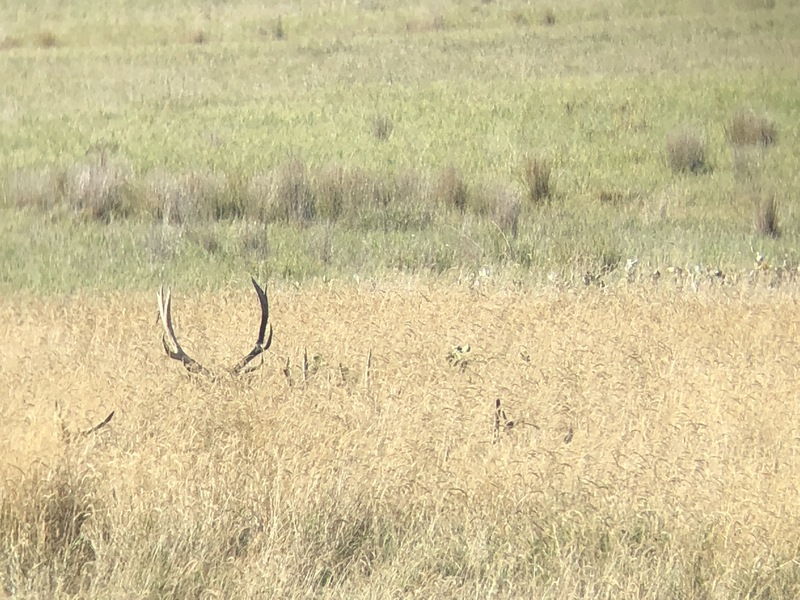 If we do our job right, it will feel like you’re hunting at your best friend’s farm. Want to try your hand at hunting the hunter, come join use for a coyote hunt. Check these site out and get set up.